A proposal for a distro-independent, multi-architecture, multi-language Linux application bundle format for 3rd party user space applications that cannot and/or should not be installed through the distro package manager. 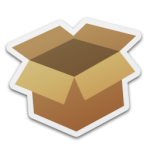 Application Bundles do not reinvent the wheel, nor do they aim to replace the existing package managers (which work well for system libraries, kernel updates, system core binaries etc), but rather supplement them. The bundle system I propose is exclusively for common user space applications, email clients, browsers, video editors, games etc. that neither need root access nor need to be installed into a specific location in the file system to function. Prime examples for this would be applications like Open Office, Firefox, Inkscape, your favourite audio editor, Gimp and Blender – in short, applications that have been endlessly and needlessly repackaged for every linux distro the world over without any particular benefit.